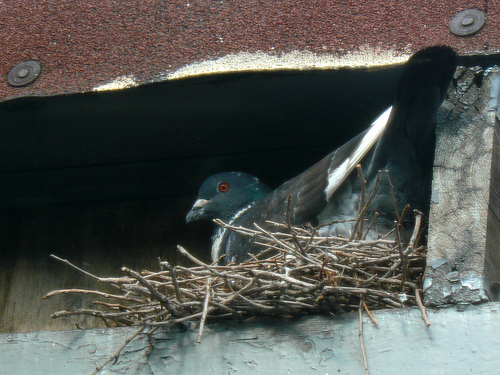 Urban Peregrine Falcons rely on Rock Pigeons for much of their diet. But some pigeons appear harder to catch than others. 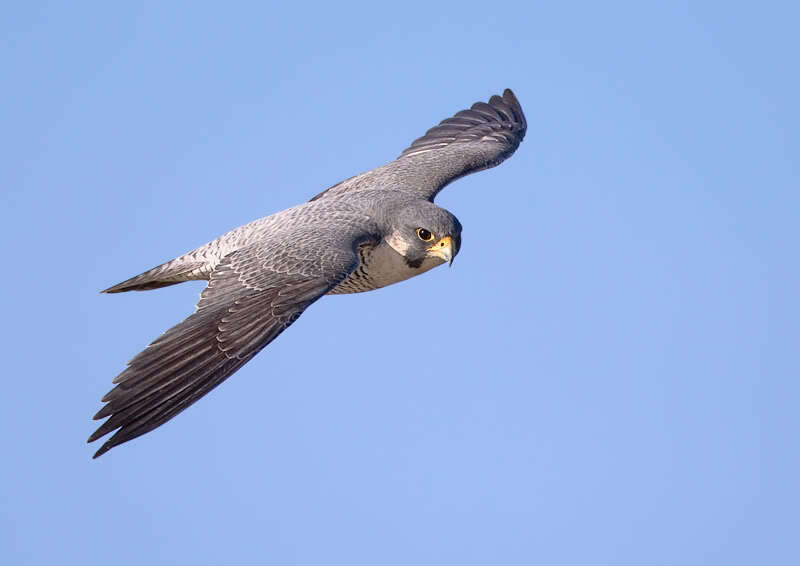 Pigeons with white rumps evade pursuing falcons more often than those with dark rumps. 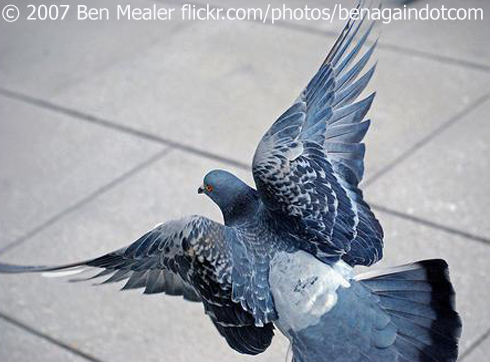 When scientists took dark-rumped pigeons and colored their rumps white, their survival rate improved. The white rump, contrasting sharply with dark wings, may deceive the pursuing falcon, perhaps just long enough to give the pursuer the slip. But some pigeons appear harder to catch than others. Learn more about the research and see photos of these birds on our web site, BirdNote.org. Bird audio provided by The Macaulay Library at the Cornell Lab of Ornithology, Ithaca, New York. 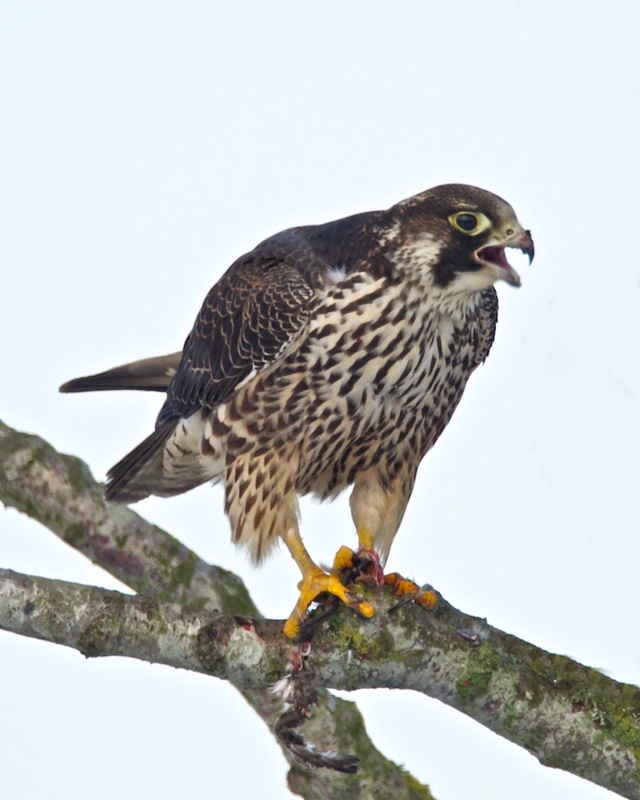 Peregrine Falcon call recorded by G. Vyn. 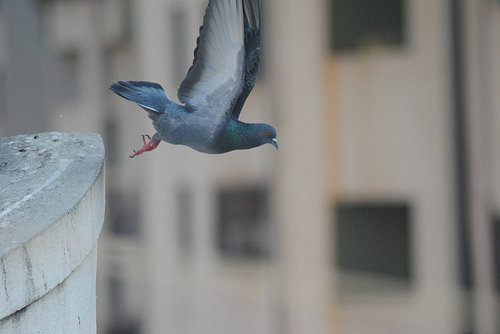 Rock Pigeon calls recorded by A.L. Priori. Ambient city sounds by Kessler Productions. Pigeon Choreography by Artist Duke Riley! Read about it in the New York Times!